You are feeling sick. Your doctor wants to monitor you for a few weeks, so you are given a miniaturized implant—a sensor that measures various metabolite levels in your system and sends them to your doctor to assess. If the monitor senses an imbalance in your system, it can inform the doctor immediately. But this tiny sensor, taking real-time readings of your insides, isn’t powered by your typical Energizer battery. In fact, this sensor you were implanted with is powered by the cells in your own body. One day, we might rely on such a device as a basic medical diagnostic. Scientists are currently developing ways to convert everyday organic matter into electricity by harnessing the metabolic potential of cells, both microbial and human, offering new ways of powering electronics through the use of biofuel cells. This technology allows the production of electricity from living organisms and will enable us to deposit self-powered devices in remote and dangerous locations that never before had reliable power, like the insides of the human body or the bottom of the ocean. The idea of producing electricity from live organisms isn’t new to science. As early as the 1910s, M.C. Potter, a professor of botany from the University of Durham, performed the first experiment showing that the metabolism of Baker’s yeast, as well as certain species of bacteria, could be leveraged to produce electricity. Potter measured electrical current produced by the microbes upon addition of sugar, a microbial food source. As the microorganisms digested their food, the electrons from the sugar molecule were transported by internal cellular machinery in such a way that electricity was produced. The transport of electrons harvested from food is ubiquitous throughout life. We convert food to ATP, a molecule utilized as a universal energy currency across all known life forms. An essential part of the ATP production process is the transport of electrons to an acceptor molecule. Potter understood that this process of moving electrons, known as cellular respiration, had the potential to produce electricity. By connecting his yeast and bacteria to a circuit with an electrode, he was able to fire electrons into the circuit, essentially hijacking the respiratory system of his microorganisms! A photograph under the microscope of Geobacter sulfurreducens and its pilli, which can be used like bacterial wires to transfer electricity. Since Potter’s experiment, electricity has been produced from numerous other organisms—many of which live underground. Professor Derek Lovley, from the Department of Microbiology at the University of Massachusetts Amherst, was interested in electricity production from these underground microorganisms. He began installing plates of graphite, onto which electrons can be deposited, in the bottom of the Potomac River in an attempt to convert the natural breakdown of organic matter into electricity. Lovley tested the ability to harness these wayward electrons to make electricity, similar to Potter’s experiment almost 100 years ago. 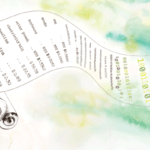 “Our findings created a big shift from early work. If you go all the way back to those Potter papers . . . he wasn’t converting much of the organics to electricity.” Geobacter is especially efficient at producing electricity for two major reasons. First, the bacterium can wire itself to electrodes with hair-like protrusions emanating from its body that extend to the electrode and deposit electrons. The wires from different bacteria connect to each other and cluster onto the electrode, forming a microbial community that microbiologists call a biofilm. Lovley explains that “the biofilm has a conductivity comparable to the synthetic polymers that were awarded the 2000 Nobel Prize in Chemistry. They are very conductive.” The biofilm allows clusters of Geobacter to pile up and feed directly, producing lots of current. In addition to their wiring abilities, the bacteria are very efficient at converting their food, stripping down the electrons from organic compounds and only leaving behind carbon dioxide. 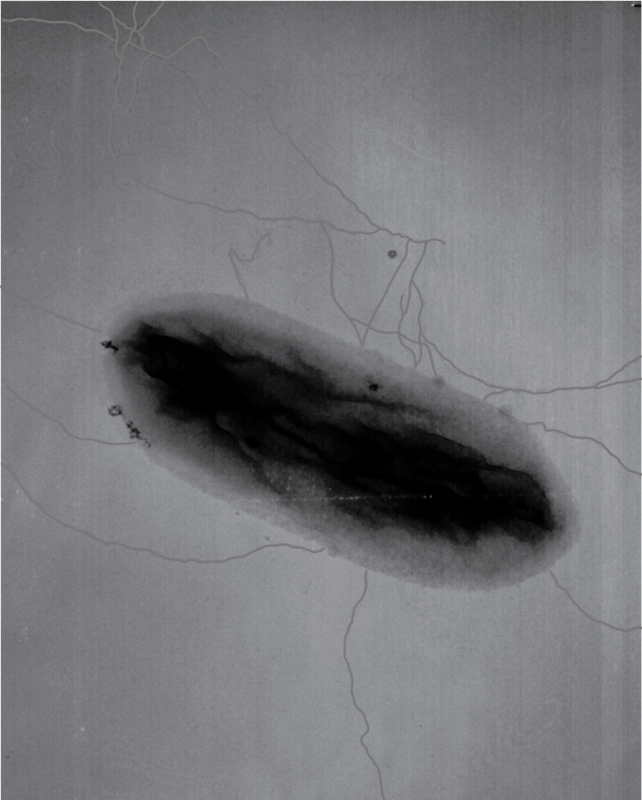 Not only are the Geobacter capable of easily transferring electrons from their food source onto an electrode, they also leave few electrons to waste. Following these discoveries, scientists began to perform pilot experiments at a larger scale. In 2006, Professor Korneel Rabaey, head of the Department of Biochemical and Microbial Technology at Ghent University in Belgium, received a government grant to design and test a microbial fuel cell that uses waste water from Foster’s, the iconic Australian brewery, to produce electricity. The beer fermentation process generates wastewater that is rich in sugars and other organic compounds—an ideal bacterial food source. By plugging an electrode into the wastewater that has been seeded with sedimentary bacteria, Rabaey generated “up to 250 amperes per cubic meter,” enough to power 20 household electrical devices. While we may never see a microbial fuel cell power plant, bacteria’s microscopic self-powering abilities could be especially important in electronics that need to be implanted in remote and dangerous places. Much of the funding for microbial fuel cell research so far has been provided by the Office of Naval Research—a group regularly working in such locations. Some of their work involves replacing batteries in devices at the bottom of the ocean, a dangerous and costly task for a Navy diver. By using a self-powered system, they would no longer “need divers to go down and swap out batteries at the bottom of the ocean floor,” explains Lovley. Instead, the researchers have to dive only once to install a microbial fuel cell in the sea floor. The naturally abundant sedimentary microorganisms will continue to generate electrical power from the underwater decomposing matter, for far longer than the life of a common battery. Currently, microbial fuel cells designed by the US Naval Research Laboratory are used to power environmental sensors that monitor things like water temperature and pressure. This data is used to record ocean currents, the kind of data that could be used to warn us of an incoming tsunami. Microbial fuel cells are also being used to run a full scale self-diagnosing water purification system in the wetland of Carrión De Los Céspedes, a small village in Spain. In this pilot experiment, microorganisms are being harnessed to break down organic molecules in wastewater, purify it, and simultaneously power a telemetry system informing the user of the water quality. The project, called iMETland (integrating Microbial Electrochemical Technologies land), is funded by the European Commission and is being tested in a variety of environments in Spain, Denmark, Mexico and Argentina. Thus far, the project in Spain has been a success—the community of 100 people is able to sustain itself on water purified by the microbial community in the self-diagnosing wetland. Remote, uninhabitable environments are not the only places where organism-based fuel cells are useful. There is considerable interest in producing implantable medical devices that are powered by cells in your body. Self-powered sensors could allow us to detect internal maladies in real time, something that was previously impossible due to the frequent and dangerous surgeries that were necessary to replace the batteries of such monitoring devices. Professor Liwei Lin, from the mechanical engineering department at UC Berkeley, has worked on miniaturized fuel cells for implantable devices. These microscale devices have three components: a sensor that is measuring a metabolite, such as glucose, a power source and an antenna to send the signal. Lin and his team have managed to fit this into a “device that is five millimeters by five millimeters,” approximately the size of a single oat. The compact size of these devices is crucial in order to avoid damaging neighboring tissue. Lin’s prototypes were designed to use glucose flowing in the blood stream as a fuel source. “It will likely be an open system where cells can flow in and out.” The device would be implanted at a vein or artery. As the natural metabolic process of the cells in your blood break down the glucose, electrons are released from the sugar molecule and deposited on an electrode to generate electricity. Such devices would be extremely useful for patients with diabetes who could see their blood glucose level in real time, simply by checking an app on their smart phone. As you are eating dinner, your phone rings. The health monitoring app connected to the biofuel cell implanted in your body sensed something strange in your system and asks you if you would like to schedule a doctor’s appointment in the near future. With continuous monitoring, your doctor has now collected enough data to understand what was going wrong and why you were feeling sick earlier. Thanks to your self-powered blood monitoring device, you are on your way to getting better. 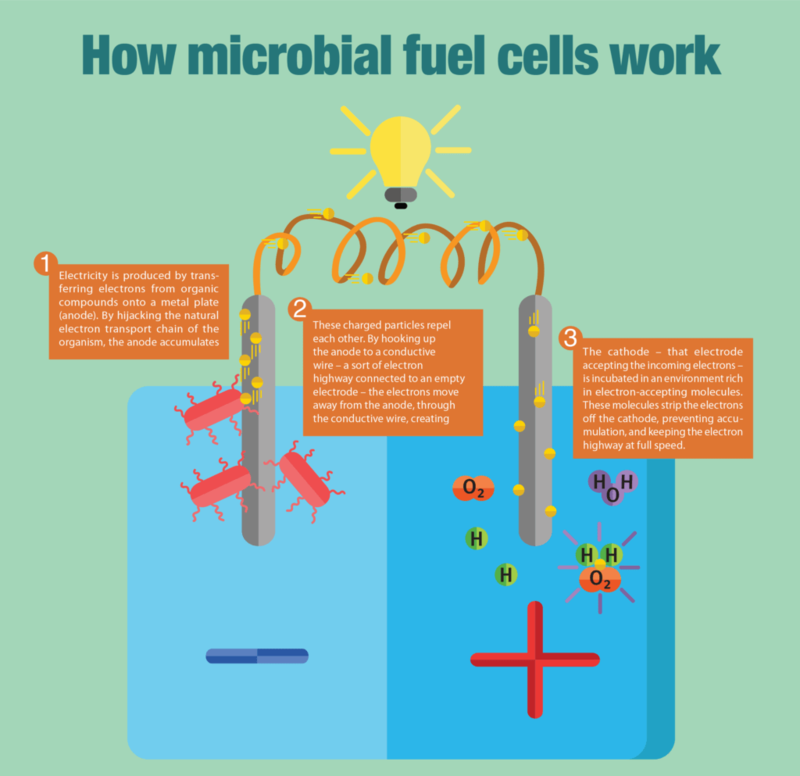 Such is the power of biofuel cell technology. Since Potter’s early 19th century experiments, work on biofuel cells has offered a new way to see organic molecules: as an energy source that leverages the natural metabolism of both the organisms that surround us and cells that compose our body. 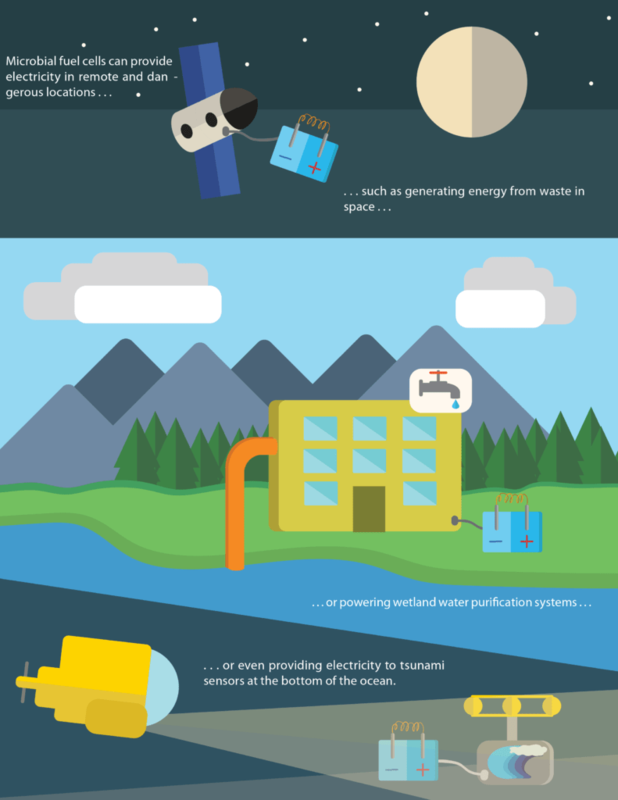 With the ability to generate electricity for small sensors and batteries with local organic matter, this technology can be found deep down at the bottom of ocean, in water purification plants, and may soon be making its way to the insides of our bodies. Raoul Martin is a graduate student in biophysics.